Over the weekend, my husband and I went on a little getaway to the mountains of North Carolina. To read more about our goals for the trip, click here. We had a great time, and we enjoyed some WONDERFUL food. Here’s a look at what we ate, + a few tips for eating on vacation. If you don’t take a little time for planning, it will be easy to sink into the lazy rut (“vacation mode”), and splurge on cheap and easy food. 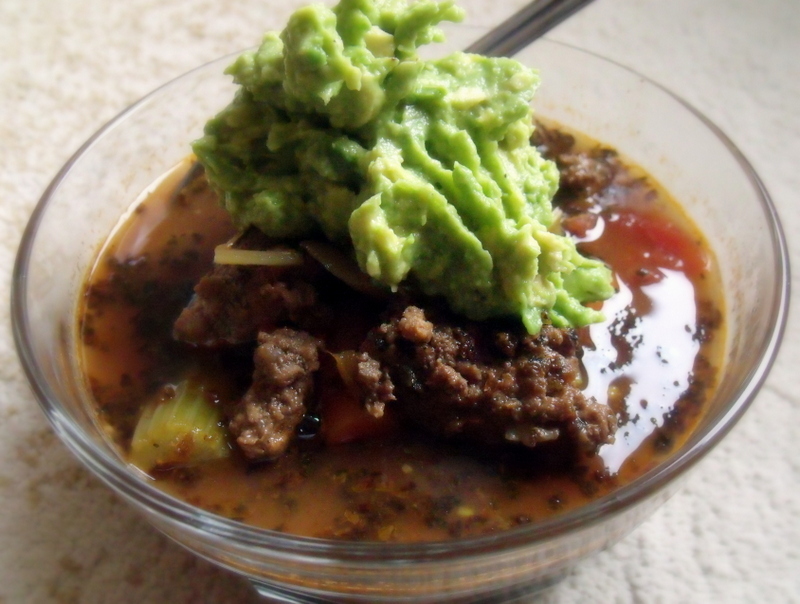 One of the easiest meals you can make is a big pot of chili. I made this before we left our house on Friday, so we had a nice Paleo meal ready for us when we arrived (just had to heat, and mix up a little guac). I realize that make-ahead meals are not always possible, particularly when you are traveling long distances. However, any preparation you can do ahead of time will make life MUCH easier once you arrive at your destination! As you saw in this post, I made a menu plan a few days before we took off, and I had already done most of the grocery-shopping. This is SO much easier than trying to find a good grocery store when you arrive. I hate grocery-shopping on vacation! Just use a cooler to keep cold things cold, and you’ll be set when you arrive! If you don’t want to pack a cooler, just get all the non-perishables, and stop by a grocery to grab the rest when you get there. 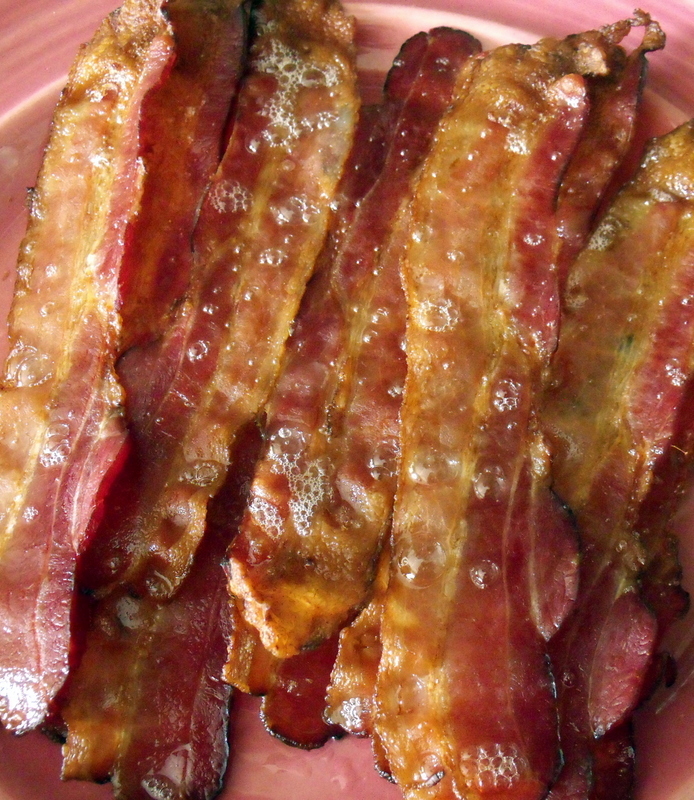 In fact, we had bacon every morning we were there. 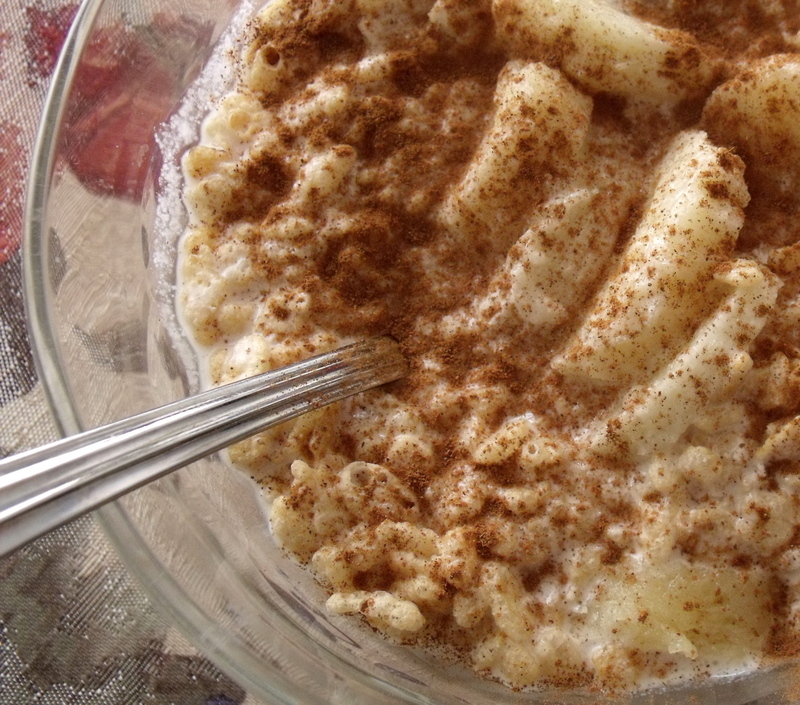 These are so delicious with homemade almond milk and cinnamon! Even if we could afford it, we would not want to eat out for every meal. And in my opinion, eating good requires cooking. To prevent filling yourself with insane amounts of sugar, preservatives, and who-knows-what-else, make sure you have a place where you can cook. 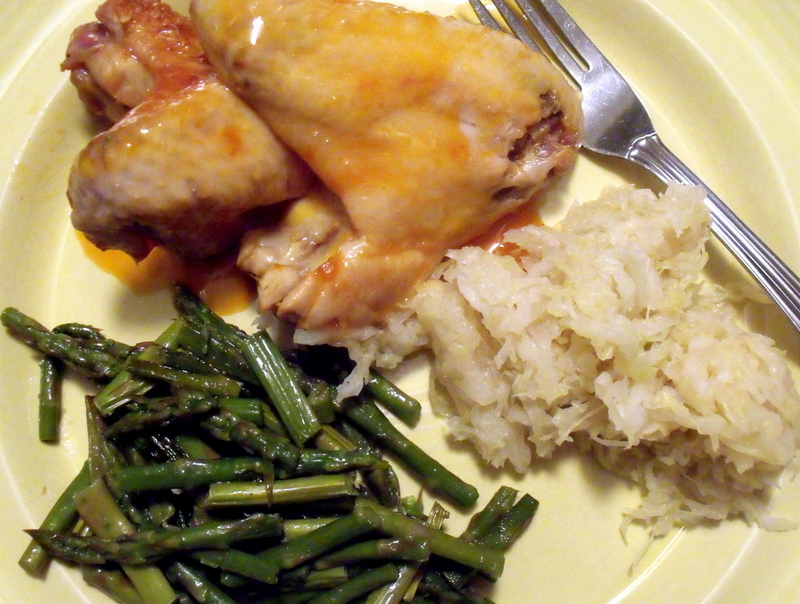 We used the oven a TON, and I was so glad to have delicious, “home-cooked” meals while we were away. We didn’t even have to change out of our pajamas! Now THAT’S what I call a vacation! I may cook on vacation, but that doesn’t mean that I want to spend a lot of time in the kitchen. Take things that don’t require many ingredients. 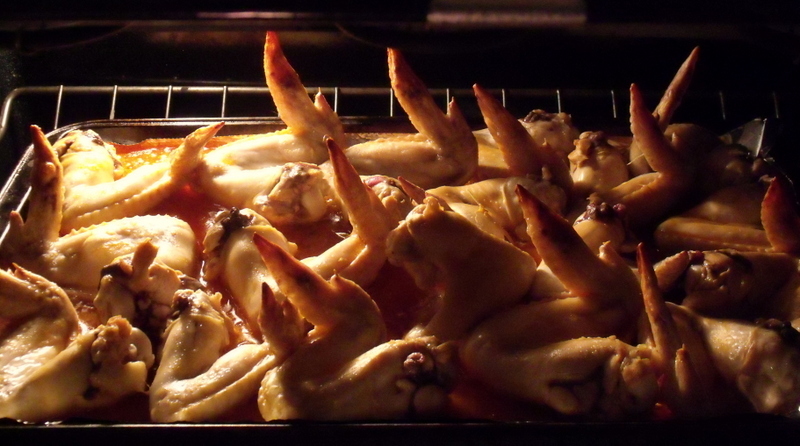 One night we had baked chicken wings (dump on the sauce, toss it in the oven, and eat! 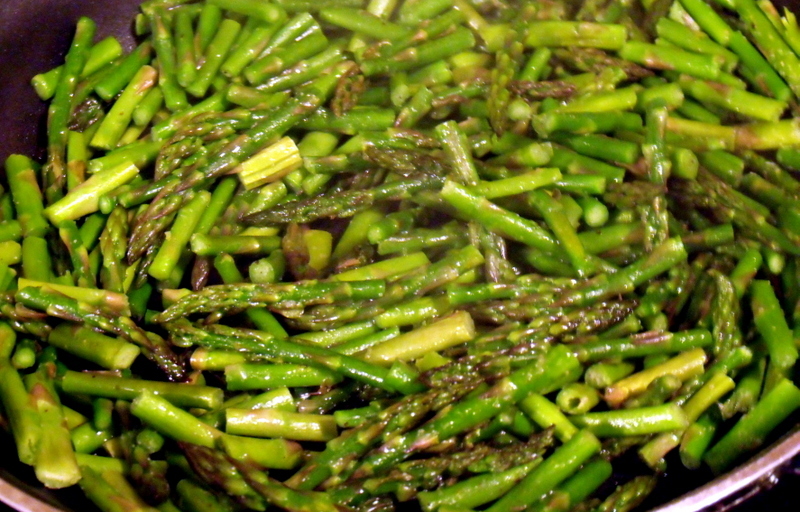 ), asparagus (in a little coconut oil with salt and pepper… sautéed), and some sauerkraut (delicious and nutritious… and it just scoops out of a bag!). It doesn’t get much easier. 5. Prepare Meals You LOVE!. This may seem obvious, but you should enjoy every moment of your vacation, so don’t take spinach if you don’t like it. 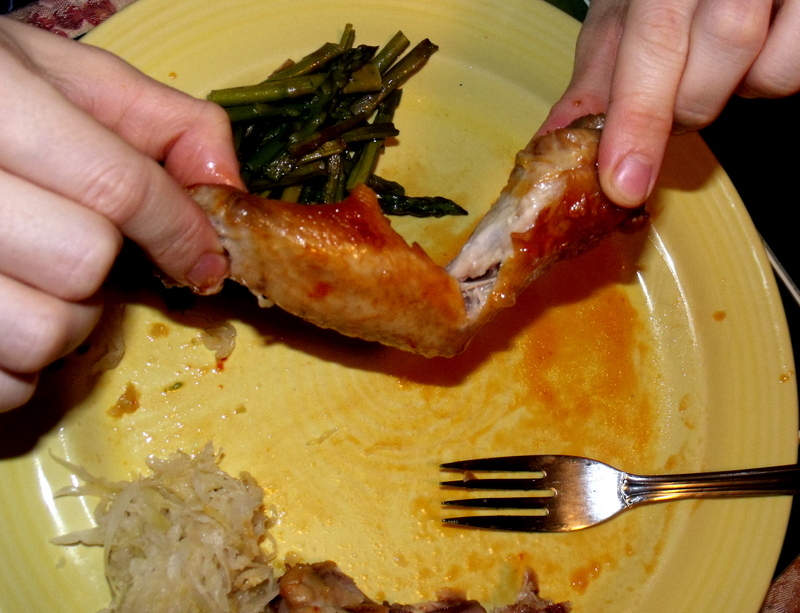 My husband and I both LOVE chicken wings. We ate a ton of them. They were delicious. I love vacation. They are a vacation MUST! If you’ve made them before, you understand. Just do it. These are like Paleo candy. 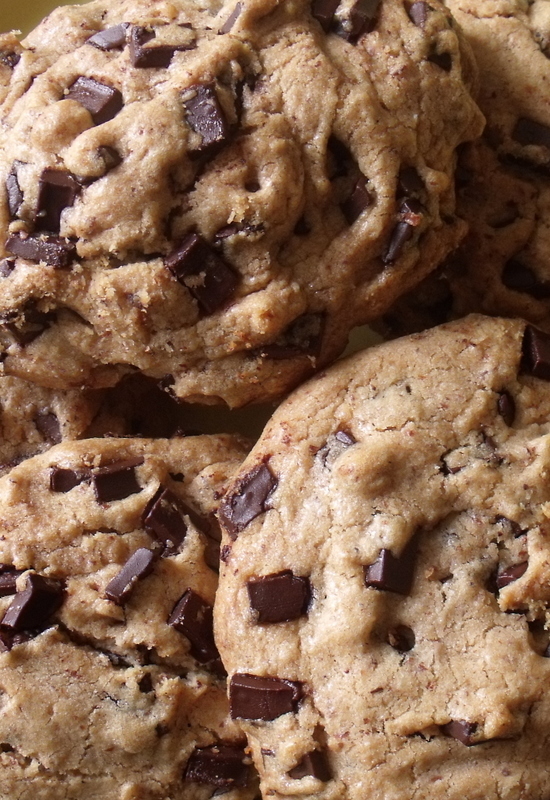 We like a little almond butter on the inside. Each night, we made ALOT of dinner so that we could eat on the leftovers the following day. This is what we always do at home, so it wasn’t much different. It was nice to only re-heat a delicious lunch each day. If you do plan to eat out, do your research in advance! Look for restaurants that have a gluten-free menu. This is definitely a better alternative to driving around in circles trying to guess which local eatery might be best (been there, done that!). We did not choose to eat out on this trip. Take foods that are comforting to you, and those that help you relax (note: if your comfort foods are flour tortillas and/or gummy worms, you might want to re-think things a little). 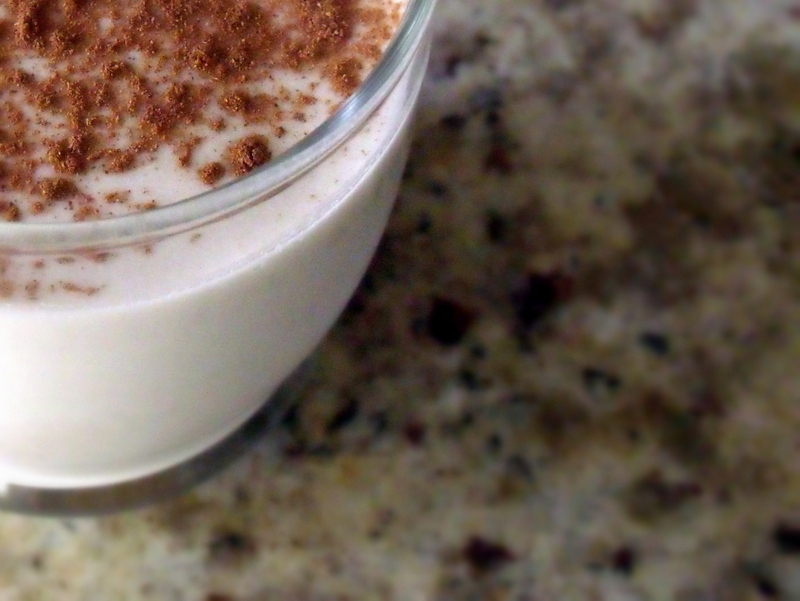 For us, we love a cup of homemade almond milk with a little cinnamon on top. 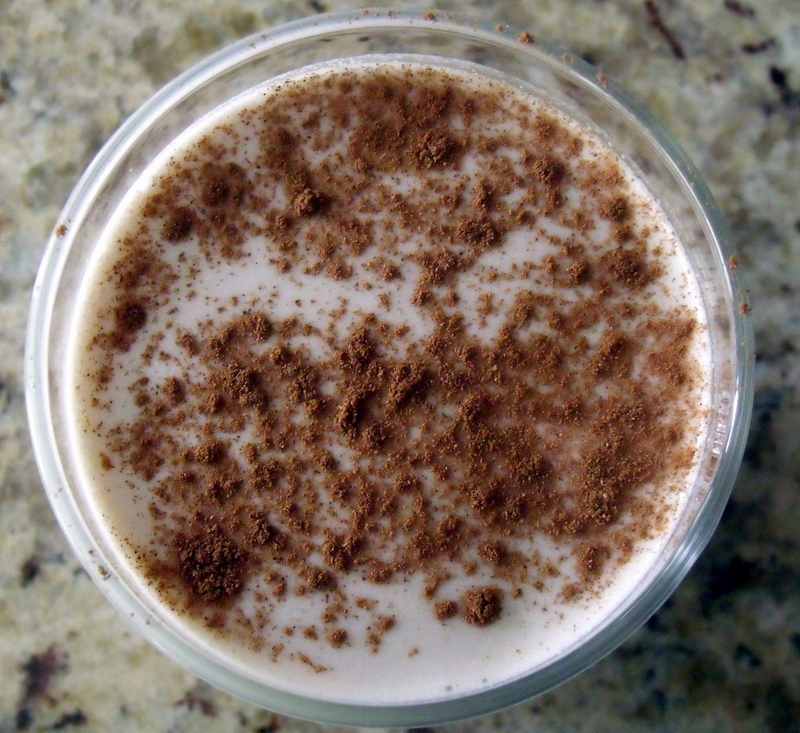 Or a big mug of hot coffee with full-fat coconut milk. Or big bowls of chili. 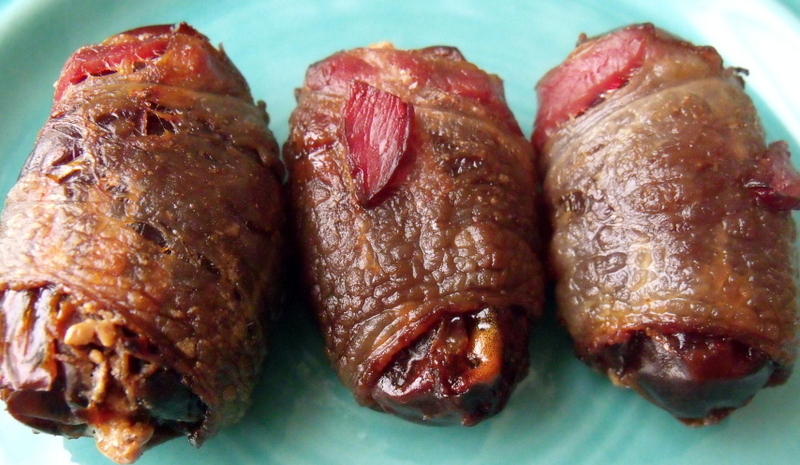 Or bacon-wrapped dates. And the list goes on… ENJOY! I have already hinted at this, but it is so important. Gluten has the potential to wreck your vacation. For more information on gluten, listen to this informative podcast.